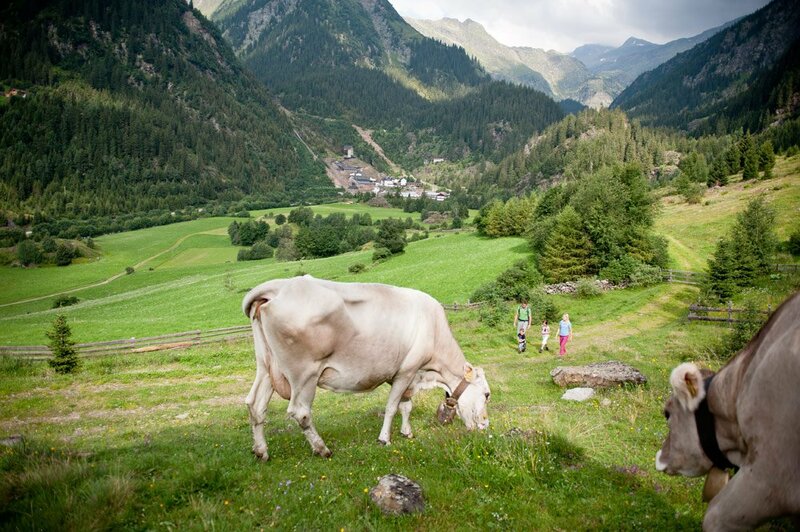 The farm Reaserhof is a traditional South Tyrolean cattle farm, located in the borough of Racines. 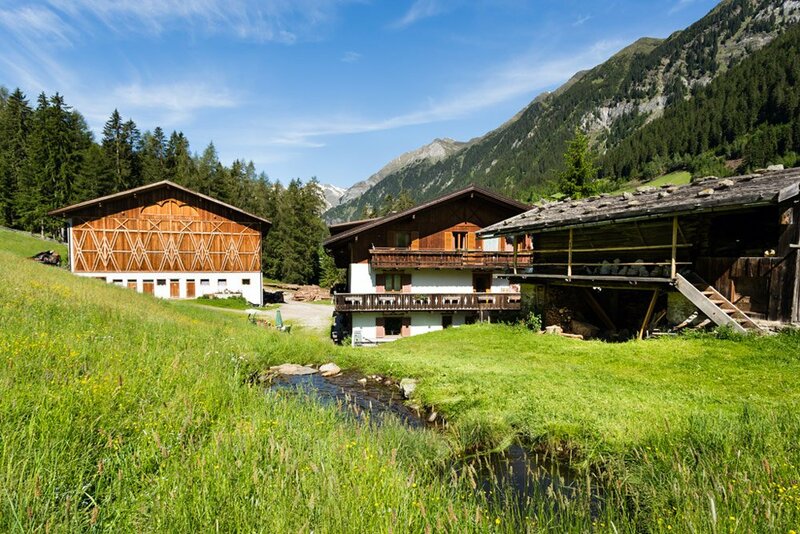 At an altitude of 1,290 above sea level, you may spend a relaxing vacation surrounded by a beautiful alpine panorama. Near the farm, gorgeous hiking destinations await you in all seasons, including the Barefoot Path, the Gorge Gilfenklamm and the ski resort Racines. The centre of Racines di Dentro is only 300 meters away. Here, you will find small shops and a South Tyrolean restaurant. A spa experience of a special kind awaits you right behind the main building of the farm Reaserhof. A rippling brook runs across the meadow, which is perfectly suited for water treading. Thus, during your farm holidays in Racines, you may visit your personal Kneipp therapy location. During your farm holidays in Racines you will have the opportunity to discover the country life in all its variety. You are welcome to lend a hand with the stable works or daily activities in the fields during your stay at the farm, thus, experiencing the life on our farm first-hand. Many animals live on the farm Reaserhof. Next to cows, calves, goats and pigs, the farm is also home to rabbits, ducks, chickens and geese. In the wake of ancient traditions, a friendly farm dog guards our property. The cats particularly love to be cuddled by our youngest holiday guests. Fresh milk and eggs are available every day on the farm Reaserhof. In every season, a farm holiday in Racines has its special charm. During the summer, our lawn invites you to relax in the warm sunshine; in the winter, together with your children here you may build a snowman or enjoy an enthusiastic snowball fight. The farm’s private playground features a slide, swings, a carousel and a sandbox. Depending on the season, your hosts will offer you fresh vegetables and herbs from the garden. The farm Reaserhof has a dry ski room, where in the winter you can store your winter sports gear. Our table tennis offers your family plenty of sports entertainment. In the village, you may rent e-bikes, while the climbing garden awaits you with exciting climbing course.